Robby Hecht & Caroline Spence met while performing at the Rocky Mountain Folks Festival in 2013. Since then, these two friends have gotten into the habit of taking time off from their solo projects to write and sing together in their hometown of Nashville and on tour across the country. 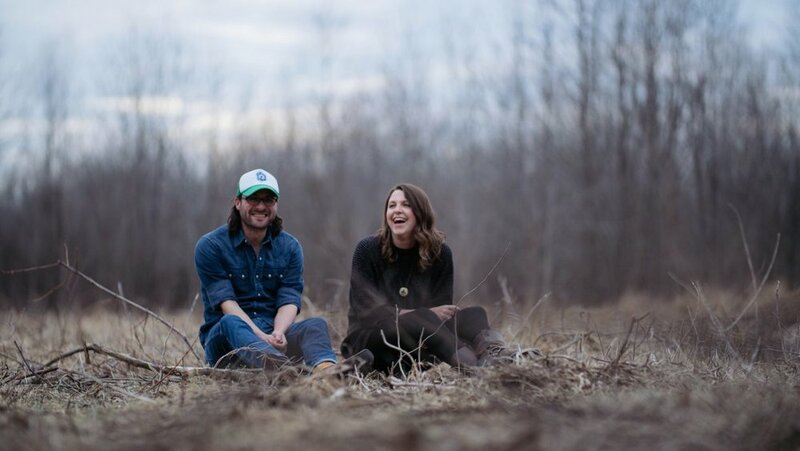 After their two duet singles, "Two People" and "Parallel Lines" were streamed nearly 8 million times on Spotify, Robby and Caroline figured they were doing something right and decided to write and record a full album. This new album, Two People, is named in honor of the first song they released together, but the title really speaks more to the heart of the collection itself. All of the songs on Two People are about the endlessly beautiful and difficult task of joining your life with another’s. In the case of Spence and Hecht, the results are elegant harmonies and effortlessly human songs that cut right to the point. We both share a love of The Boss and this album is a great blueprint for how to write interesting love songs. The songs on this album are all relationship songs but they are also deeply personal, revealing the troubles, quirks and fears of the singer. The whole album is a journey through the ups and downs of a relationship, both with the other person and your relationship with yourself when you join your life with another person. Our latest album, Two People, addresses those same topics. We strive to write songs like this, ones that are so simple and yet reveal big truths and complexities.